Breckenridge, Colorado is an amazing destination all year long. Not only is it home to a wonderful variety of outdoor activities, but it also boasts fantastic restaurants and shops as well as unbeatable scenery. While we’re sure that you’re going to have an incredible time on your Breckenridge vacation, it never hurts to learn a little more about your destination in advance of your arrival – especially if this is your first time in town. So, read on to see all of our tips for enjoying Breck and get ready for an unforgettable mountain experience! If you’re searching for information on visiting Breckenridge, one of the first things you’ll probably come across are words of warning about the town’s high altitude. Breckenridge is at 9,600 feet above sea level and obviously, the surrounding peaks are even higher. 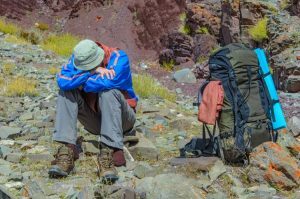 It’s estimated that about a quarter of people who travel to elevations higher than 8,000 feet from low altitudes experience altitude sickness, the most common form of which is acute mountain sickness (AMS). In addition, approximately 40 to 50% of people from low elevations who travel to higher than 10,000 feet above sea level will experience symptoms of AMS. In most instances, altitude sickness symptoms are mild but they can easily interfere with your vacation plans. The most common symptoms include headaches, lightheadedness, loss of appetite, nausea, fatigue, problems sleeping, and shortness of breath during physical exertion. Frequently, these symptoms will subside after 24 to 48 hours at altitude. In rare cases, altitude sickness can be severe and present with symptoms like confusion, shortness of breath while resting, tightness in the chest, coughing up blood or frothy saliva, pale or blueish complexion, and inability to walk. Anyone experiencing these symptoms needs immediate medical attention. If this is your first trip to a high elevation destination, there’s no way of knowing whether you’ll be affected by altitude sickness. However, there are steps you can take to help prevent or minimize the symptoms. You may want to talk to your doctor about prescription medications that are available. Before and after you arrive, drink lots of water. Many people find that hydration plays a big part in the severity of their symptoms. Give yourself plenty of time to adjust to the altitude once you arrive. 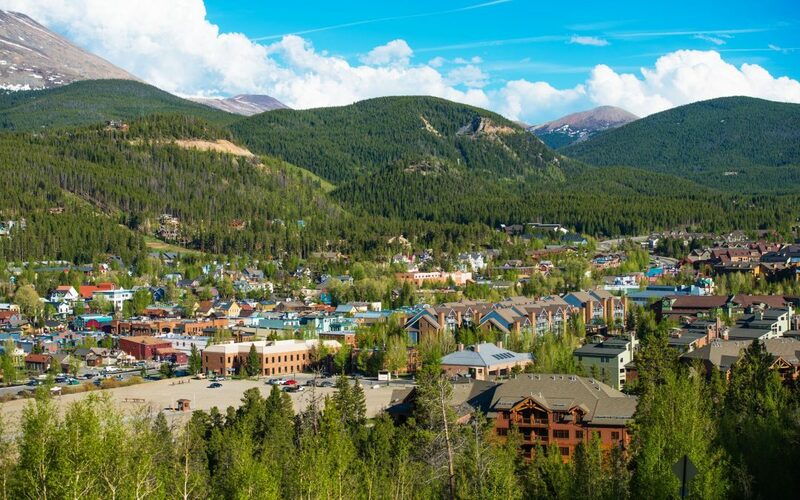 If you’re flying into Denver, you may want to consider spending some time in one of the lower elevation mountain towns before heading to Breckenridge. Once you get to town, don’t immediately head out to conquer the high altitude backcountry because your body will need an adjustment period. There are also several local spas that offer high altitude therapies that can help your body get back to feelings its best. Mountain weather can be temperamental (pun completely intended) and storms can be on top of you much faster than you think. Before you head out, check the weather forecast and while you’re out, keep an eye on the horizon for approaching storms. Winter storms will bring a quick drop in temperature as well as the possibility for significant snow and accumulation. Extended exposure to cold temperatures and windy conditions can result in frostbite. To prevent frostbite, keep extremities like your fingers, ears, and nose covered and take the time to frequently warm up inside. In the summer, you can pretty much count on an afternoon thunderstorm on most days. Plan on completing your outdoor activities early on in the day. Even if the afternoon forecast calls for clear conditions, storm clouds can still appear as if out of nowhere. So watch out for them. At higher elevations, especially above the tree line, there’s an increased risk of getting struck by lightning during a storm. 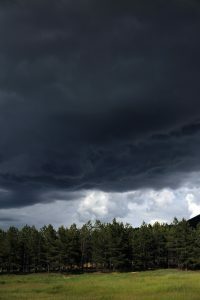 If you hear thunder when you’re out hiking or biking, you should get to shelter immediately and stay there until the storm passes. If you see lightning in the distance, that means it’s time to wrap things up. In the spring and fall, anything goes weather-wise. It could be warm and sunny one day and a blizzard the next – and that’s not hyperbole. These seasons are a mixed bag of weather conditions, so check the forecast frequently before and during your trip. For longer hikes, bike rides, snowshoe trips, and other outdoor adventures, it’s always a good idea to bring a pack with you that has a few essentials in it, including water and food. In the summer, at higher elevations, the temperature can vary quite widely between sun and shade, so it’s advisable to bring along extra clothing, too. Finally, sunburn and hypothermia are real possibilities throughout the year. The high altitude makes ultraviolet rays stronger, so sunscreen is a must regardless of when you’re visiting. Hypothermia happens after prolonged exposure to wet and cold conditions. Higher elevations have lower temperatures, so it’s possible for a person to develop hypothermia in the mountains even during the summer. Wearing layerable clothing and bringing along extra dry clothing can help to prevent hypothermia, which can be life threatening. 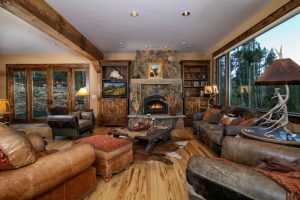 There are lots of options for vacation homes and condos in and around Breckenridge. To find the best property for you and yours, start by thinking about what activities you have planned. If you want to spend as much time on the slopes as possible, a ski-in/ski-out condo might be the best choice for you. Or if you want to be close to shops and restaurants, a property in downtown Breckenridge will be ideal. Then, consider your budget. During the ski season, properties that are on or close to the slopes will be more expensive. In addition, lodging will be pricier if you’re planning on visiting during any holiday period. Finally, make a list of any must-have amenities, like a hot tub, fireplace, etc. This will help you narrow your choices down even further. 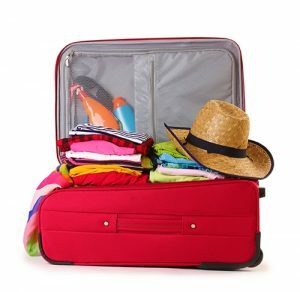 A definitive guide to packing for your Breckenridge vacation would be quite lengthy. So for our purposes here, we’ll just give you a quick and dirty overview of some suitcase essentials. We did not cover fall or spring vacations below because the weather can be so unpredictable. If you are visiting during one of these seasons, base your packing choices off of the latest weather forecast. You’ll likely need items for both warm and cold weather. If you’re flying into Colorado, you’ll either need to rent a car or take an airport shuttle to get to Breckenridge. Both options have their pros and cons. If you want to travel at your own pace or you want to explore other areas in addition to Breck, a rental car might be your best bet. If you’re looking for a low cost option and you’ll be spending all of your time in town (or nearby towns Frisco, Silverthorne, or Dillon), then an airport shuttle might be the way to go. Your choice will depend on your preferences and budget. Either way, once you’re in town you likely won’t need a car to get around. Breckenridge has a free shuttle service, the Summit Stage, that not only provides service to a variety of locations throughout town but to neighboring towns as well. Many vacation rentals are located on or close to the shuttle route. You can find more information on the Summit Stage routes and schedules on the Summit County website. However, if you do plan on using a car in Breckenridge, there are free and paid parking lots in and around town. The BreckConnect Gondola has been a part of the Breckenridge landscape for over a decade now. It’s done a wonderful job of making it easier and more convenient to get to the resort. Located at 170 Watson Avenue, the Gondola takes riders up to the Peak 8 base area with mid-stations at Shock Hill and Peak 7. The total ride time is just about 10 minutes. The Gondola is open during the ski season and during the summer months. In the ski season, the operating hours are typically 8:30 a.m. to 4:30 p.m. (although these may vary during the season) and in the summer, the Gondola runs from 9 a.m. to 6 p.m. 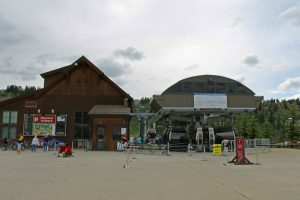 There is a pay parking lot at the base of the Gondola and it’s also located just steps from Breckenridge Station, which is the town’s transportation hub. The Gondola is dog-friendly and free to ride. If you’d like to transport your bike up the mountain in the summer, though, you will have to pay a bike haul fee. The more you can plan and reserve in advance of your trip, the easier your trip will be. We always recommend that visitors buy their lift tickets ahead of time as a money-saving measure. Lift tickets are already expensive and if you choose to buy them at the resort, you will end up paying the highest price. 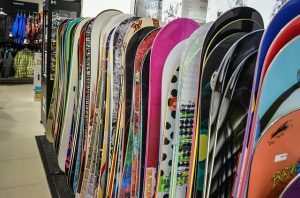 Reserving your ski or snowboarding gear before your trip is another way to save some money. We’ve partnered with some local gear shops who give our customers discounted equipment rentals. If you’d like to take part in any unique activities, like hot air balloon rides, dog sled rides, ATV tours, etc., it’s a good idea to make your reservations early. These activities book up fast, especially during peak seasons. Be Patient – Breckenridge is a small town and it can fill up quickly during the holidays and other peak seasons. This means that restaurants will be busier and the streets will be more crowded. Don’t let that ruin the fun, though. Embrace the laid-back feel of the mountain town and enjoy your surroundings. Give Yourself Plenty of Time – It can be tempting to try to take on a lot of activities during your Breck vacation simply because there are so many different ones available. Don’t succumb to that temptation, though. Take the time to really enjoy the select activities you choose. If you try to cram too much into your vacation, you may find that you don’t have as good a time as you want. Drink in Moderation – If you’re not used to high elevations, a little bit of alcohol may go a long way. While this isn’t true for everyone, some visitors find that they’re more sensitive to alcohol’s effects and more importantly, the dreaded after-effects. So go easy on the spirits – your body will thank you!